Talking about the most important factors in contemporary machine embroidery, embroidery digitizing makes it to the top tier. A lot has been said and written about the skill, as being an indispensable component of the process. 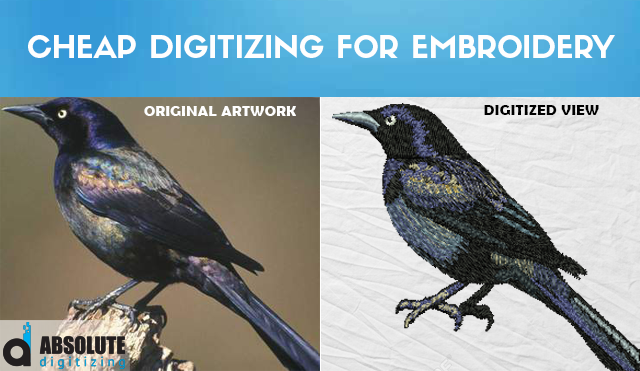 In fact, the vitality of digitizing for embroidery is pretty much established and unarguable. This also ascertains the importance of finding and working with a good digitizer or an embroidery digitizing service. The magnitude of importance asks for a strict adherence to the quality. At the same time, finding cheap digitizing for embroidery is a parallel quest. Why Is Cheap Digitizing For Embroidery Business Tricky? Constantly looking for inexpensive supplies and manpower is customary for every business owner. Similarly, with embroidery businesses, it is a no different story. In addition to threads, needles, fabrics, and lubricants, embroidery machines are ‘fuelled’ on digitizing for embroidery. With that said, there are various factors which alienate digitizing from the list. This alienation ascertains the need for special consideration and attention. Firstly, unlike other regular supplies, digitizing is a skill. In fact, it is not a supply at all. It is a skill which is inevitable in the process. Though, pertaining to the fact, that it is extensively outsourced, it is often treated as a supply by many embroiderers. This is because it is ‘someone else’ who is responsible for preparing and delivering digitized files. Unlike other regular supplies, digitizing is a continuous process. For good or for bad, there is no possibility of ‘bulk buying’. Each digitized design is a separate entity. It is ordered, communicated and delivered separately. This calls for constant communication and checks with the remote digitizer. A reckless service or digitizer is the recipe for a disaster. Any discrepancy in delivery or quality of work is an explicit reflection of your service. Cheap digitizing for embroidery is not cheap if it puts your integrity at stake. Dismantling customer trust for cutting off the supplies cost is not a sustainable strategy for a successful business. So, it is not really ‘cheap’ if it drains customer trust and integrity from your business and this is where the tricky part comes in. Another factor that sets digitizing apart from other regular supplies is the constant quality determination with an altogether different set of criterion. Since digitized designs are not physical in nature, methods for determining its quality are varied and elusive. There are no hard and fast rules about good, bad and ugly of digitized designs. Even if we talk about embroiderers, very few of them can make a distinction between different hues of digitized designs. Most of them rely on their naked eye. Given the importance of digitizing for embroidery, it is a risky tread to follow. Irrespective of the experience, merely trusting the feeling one gets upon starring at a design, is not substantial. There must be parameters which should determine the quality of a digitized design. Since there are none, cheap digitizing is tricky as one is always precarious about the quality of designs. It is not that there are no parameters at all for the establishing quality of digitized designs. There are, but they are rather ambiguous. Instead of criterion, they are more of guidelines, which aid one in evaluating a digitized design. 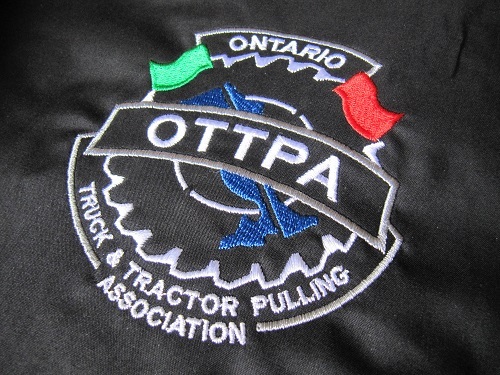 We have previously published a post on evaluating the quality of embroidery digitizing services providers. This lingering confusion often makes cheap digitizing a shaky commitment. Part of the problem is how digitizing is charged. Since there are no physical attributes of a digitized design, it is difficult to price it with a common method. Nevertheless, since it is a service, it has to be priced. Therefore, a digitized design is charged in terms of stitch count of a finished design. Normally, charged on per 1000 stitches basis. Unfortunately, this pricing model fails to serve the concerned purpose very well. The primary predicament of this pricing model is that it fails to regard and incur the quality of the designs. It only caters to the quantity of work, failing to admire and reward the skill and artistic nerve of a digitizer. Not only it discourages a digitizer to go an extra mile, stitch count pricing also paves the way for poor quality. It is true that stitch count, too, is a determinant for the quality of any digitized file. But it is merely a link in the chain. There are multiple other factors that play an equal or even more important role while contributing the quality. This ‘weak’ link is a loophole that is often exploited. Offering cheap services at a compromised quality becomes easier since there is no encouragement in terms of monetary gain in an otherwise approach. Why Is Cheap Digitizing For Embroidery Still Important? Despite all the aforementioned potential impediments, there should be little doubt as to why cheap digitizing is unavoidable. 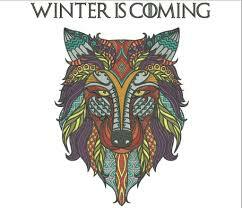 We have already mentioned how important digitized designs are for an embroiderer. What we have not mentioned is that they are also generally required in abundance. This implies hefty expenditures for embroiderers which amount to several thousand dollars yearly. Cutting of this cost is, therefore, very important. The challenge here is to find cheap digitizing service that delivers timely with great quality. It is really too much to ask from anybody. If you have been in the business for a while, you will understand that this combination is a shrinking rarity. Nevertheless, it is a monster that has to be mellowed and there is no way around it. Likely, you will not find such a service in the first go. Instead, you will have to try a lot of them before finalizing one for long-term collaboration. If you are also figuring out that how to find such a service, you don’t have to. What does that mean? That means, that we have already figured it out for you. We have come up with a service structure that delivers just the way you have always longed. Our cheap digitizing for embroidery service delivers it all. For only $1/ 1000 stitches, you can now order and receive high-quality digitized files in only 24 hrs of ordering. Get a quote today or download our mobile app (iOS & Android) and receive our services on the go.